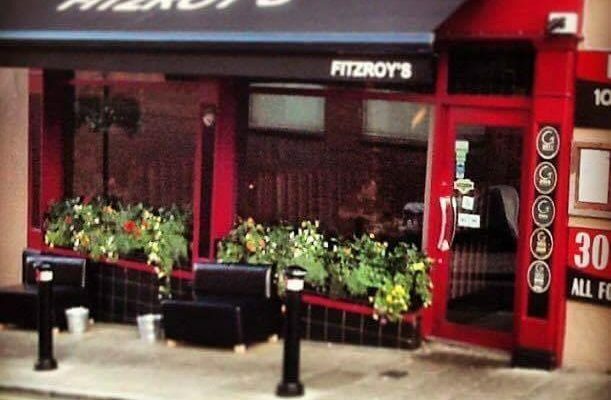 Just outside the city’s historic walls, Fitzroy’s has been going strong for 25 years. It’s a great little pit stop for shoppers as its just outside the top doors of Foyleside Shopping Centre and it’s also a stroll away from the Millennium Theatre. If you’re looking for good food and good value, you won’t go wrong. The team source as many local ingredients as possible. Lunchtime offerings offer everything from breakfast bagels to 12oz Sirloin Steak, plenty of dishes for all tastes. We have great options for vegetarians with dishes like veggie tacos and spicy vegetarian pasta , yummy! We also have a Vegan menu with dishes like vegan stir fried rice which is a big hit and tastes so good. We have a full bar with a wide range of drinks and delicious Cocktails our most popular being the Strawberry Daiquiri.